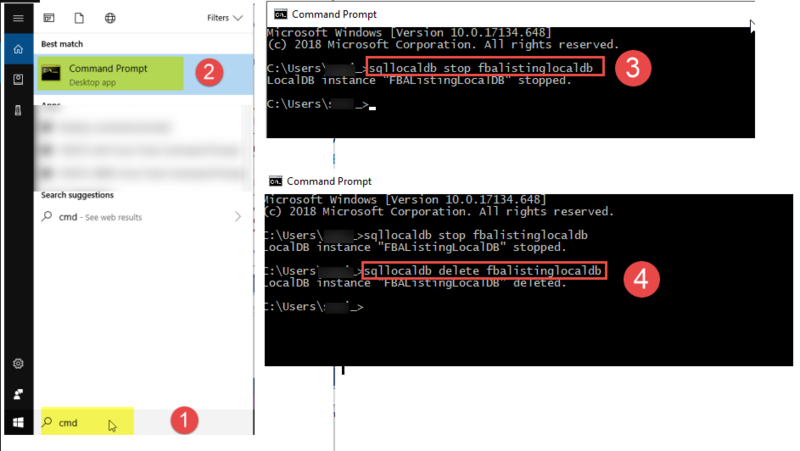 If you have a problem to start TurboLister, please follow the steps below to do a clean uninstall first before trying to install again. 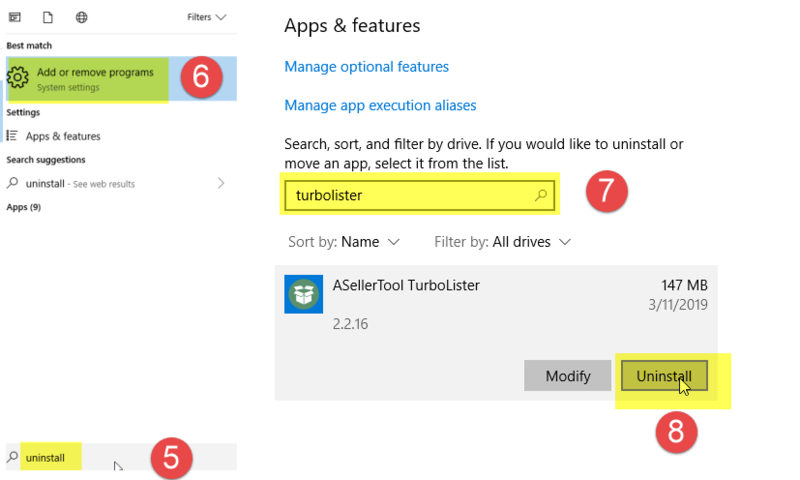 In Apps & features screen, type turbolister (7), ASellerTool TurboLister program icon will appear. Click on it and click Uninstall (8) This will uninstall TurboLister program. Now you finish clean uninstalling TurboLister. You can try to click the installer install again.